Cu Lao Cham Island was honorably recognized as a World Biosphere Reserve in 2009 by UNESCO. Let Kha Tran car rental explores Cu Lao Cham island travel, an attractive destination in the tour in Hue, Da Nang, Hoi An. Where is Cu Lao Cham? 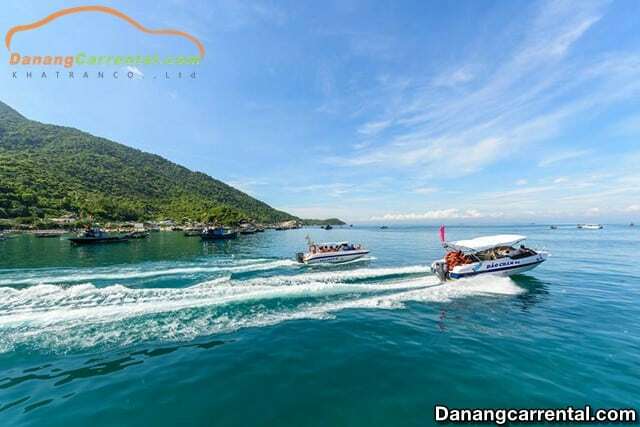 There are many ways to travel Cu Lao Cham island, you can buy a package tour during the day or if you have less time then you should take a tour, if you have plenty of time, then you can go with a schedule of 2 days to enjoy exploring and relaxing on Cu Lao Cham Island. Cu Lao Cham is a group of islands in Tan Hiep commune, Hoi An city, Quang Nam province, it is about 15 kilometers from Cua Dai beach. There are 8 islands: Hon Lao, Hon Dai, Hon Mo, Hon Kho Me, Hon Kho Con, Hon La, Hon Tai, Hon Ong. In particular, Hon Lao is the main island where the largest area of population is concentrated Cu Lao Cham and the center of commercial activities and tourism. The best time to travel to Cu Lao Cham is from March to August every year, because the weather is sunny and the beach is calm at that time. In the other months of the year, you should not go here because of the stormy seas, the island becomes an isolated area. If you want to combine your trip with the sightseeing the colourful lanterns in Hoi An ancient town, you should go on the full moon day of the lunar calendar. Especially on the 14th, the ancient town is more shimmering than the 15th.Or if you want to participate in the cultural beliefs of residents on the island, you can choose to go to the festival times such as: Cau Ngu festival (from 3rd to 4th of April according to lunar calendar) or Gio To Nghe Yen festival (from 9th to 10th of March according to lunar calendar). 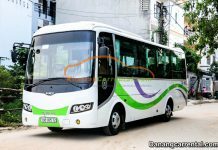 How far is it from Cu Lao Cham to Hoi An ancient town or Da Nang city centre? is the common questions of many tourists. 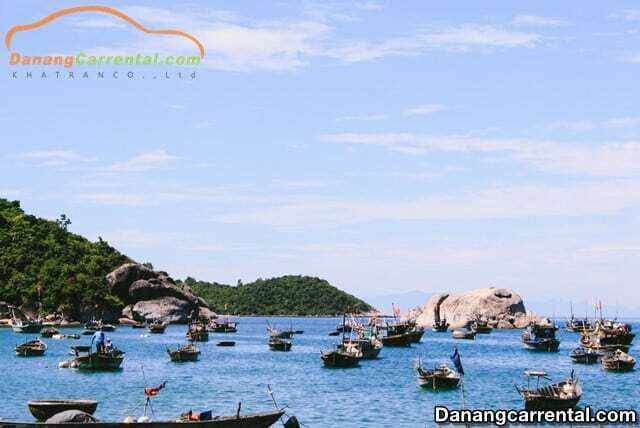 In order to answer this question, Kha Tran car rental will give you the most detailed instructions how to move to Cu Lao Cham so that anyone who wants to travel Cu Lao Cham island can also easily refer. Airplane: Hoi An is in Quang Nam province. Although it is 30 kilometers distance from Da Nang city, the nearest airport to come to Hoi An ancient town is in Da Nang city. Currently, some airlines such as Vietnam Airlines, Jetstar and Vietjetair operate lots of flights from Ha Noi and Sai Gon to Da Nang. Therefore in order to buy a cheap ticket, you should order about 3 to 6 months. Trains: From Ha Noi or Sai Gon, there are North-South train lines to Da Nang. Ticket prices range from 400,000 VND to 1,200,000 VND depending on type of trains and type of chairs. It takes you from 14 hours to 20 hours to reach Da Nang city. 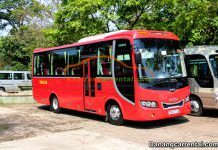 Coaches: There are Hoang Long, Mai Linh, Thuan Thao coach companies,… It takes about 18 to 20 hours from Ha Noi/Sai Gon to Da Nang and sets you back about 400.000 to 500.000 VND. 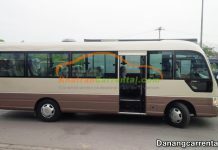 Hoi An car rental for tourists: At present, the transfer place to Hoi An is mainly wharfs or Da Nang cars. 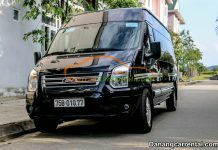 For convenience, you can contact cheap car rental from Da Nang to Hoi An at Kha Tran to be served quickly, thoughtfully and professionally by hotline (+84) 34 797 67 89. Canoe: It will take you about 20 minutes to move, the departure time is 8 a.m – 10:30 a.m. The ticket is about 150,000 VND and is sold at Cua Dai or Hoi An travel agents. Wooden boat: You should go to Bach Dang wharf at 7 a.m or Cua Dai at 8 a.m daily to buy tickets. The ticket price is about 30,000 VND per person and 80,000 VND if carrying a motorcycle. The most popular vehicles are motorbikes. You can rent at the island resorts for 80,000 – 200,000 VND/day.In addition, you can also visit the island by boat at a price of 500,000 VND/time – 1.500.000 VND/time. These boats also include snorkeling and scuba diving. The majority of homestays in Cu Lao Cham are located in Bai Lang, Bai Huong. A double room costs about 150,000 VND. If you only want to rent that room, the price is about 50,000 – 100.000 VND/person. You need to remember: Bai Lang is the landing place of wooden ships, Bai Huong is canoe. Depending on your transportation, you can choose a motel near the landing area. In addition to homestay, if you go into large groups, or want to be in harmony with nature, you also have another option is camping. Camps in Bai Huong, Bai Ong are more supportive. But if you like a completely open space then you can choose Bai Be. Tents for people on the island cost 150,000 VND/tent. Besides the beautiful beaches, attractive seafood, Cu Lao Cham island also has many interesting tourist attractions that you can not ignore. People in Bai Lang village said that GiengXom Cam is a good source of water for people in the area. Especially, the water of this well is never dry, even in the dry season. The first stop when the boat to Cu Lao Cham pier is the museum of Cu Lao Cham. This is the place where you can learn about the history, traditions, festivals, marine products … of this island, giving you a panoramic view of the island and people here. It is located in Bai Huong, Temple of bird’s nest was built in the early nineteenth century to worship nest and the nest to protect the profession. Every year, on March 10th of the lunar calendar, inhabitants and bird’s nest harvesters organize a great ceremony to prepare for the new harvest. Hai Tang Pagoda was built in 1758 at the foot of the mountain to the west of Hon Lao Island. Inside the pagoda, there is a massive statue and a large bell. This is the place where people and traders come to the Buddha and pray for blessings on the way of doing business. “It la gai” cakes are available in many places but this dish in Cu Lao Cham still has its own distinctive flavour. Previously, it is only served on the festivals on the island, but today there are year round to serve the needs of tourists. Cu Lao Cham forest consists of 16 kinds of forest trees which have the flavor of male medicinal herbs and grow wildly on the foot of mountains such as “rau don”, “rau san”, “raului”, “ma de” and so on. Early summer is the main harvest of wild vegetables on the island. The simplest and most tasteful recipe to enjoy this dish is boiled vegetables and dip into the fish sauce with garlic and chilli. Cu Lao Cham island is a part of the World Biosphere Reserve, so the people here always pay attention to protect the environment. Therefore, when visiting the island you should also respect the principles such as: absolutely not use plastic bags, not litter indiscriminately and minimize the dumping of waste on the island. You should prepare your own personal items to go to sea such as hat, sandals, glasses, sunscreen, insect repellent (if you intend to camp). If you intend to rent a motorbike, you should bring a personal identification card for car rental. When watching coral reefs, you are not allowed to break the coral reefs or take coral reefs to your house. Bring sunscreen and water with you because of the hot weather. Daylight on the island usually does not have electricity, only at night so you should arrange the source for your electric equipment that you carry with you. 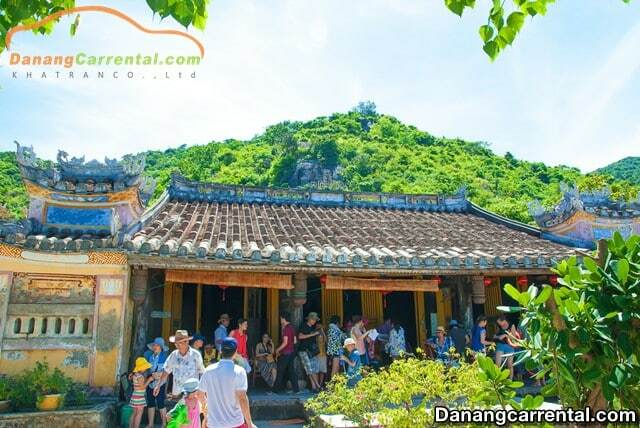 The above are the full and detailed experiences of Cu Lao Cham – Hoi An island tourism in 2019. If you need more specific advice, do not hesitate to contact Kha Tran via hotline Ms Anna: (+84) 91 651 02 01 or Ms Katharine: (+84) 34 797 67 89. Kha Tran car rental is always looking forward to bring you the most enjoyable and meaningful travels. Wish you and your family a happy journey and many memorable experiences in Cu Lao Cham Island.